Welcome to Refresh Office Carpet Cleaning and Water Damaged Carpet Repairs and Services. Did you know an efficient domestic vacuum cleaner only removes a fraction of the dust, dirt, pet waste, mites and other allergens in your office carpet. There are billions of tiny insects and dirt particles in commercial carpets. Professional office carpet cleaning can remove these, improve you and your employees health, encouraging presenteeism due to a healthier office environment. Call us now on 0488 963 678. for all your business carpet requirements. We also have emergency response teams for water damaged office carpet by flooding or leaks. Dust mites spread into the air whenever a person walks over carpet, taking around two hours to return into the carpet. Professional office carpet cleaning is an effective way to remove dust and pests which can contribute to allergies and asthma in your staff members. 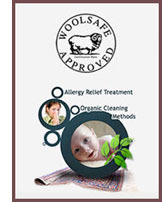 Refresh carpet cleaners use safe, biodegradable, non-toxic and non-irritant chemicals and formula. You can expect first class office carpet cleaning and water damaged carpet emergency repairs every time with Refresh Carpet Cleaning. Our technicians are experts in removing dust, mites and allergens to protect your staff.